Is that just an inanimate piece of plastic shaped like a super hero...or something much more? 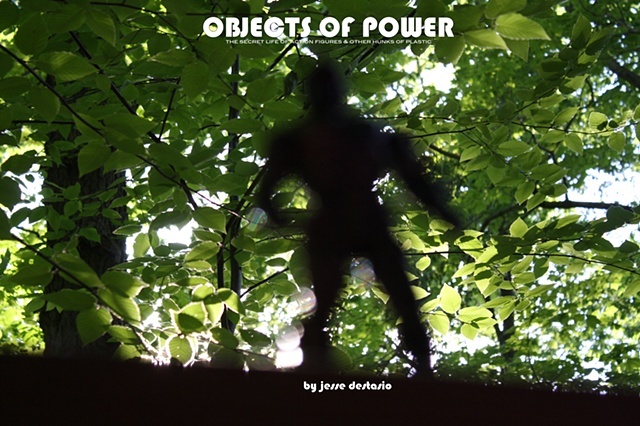 This book is a visual essay taking action figures off the store shelves and putting them into a bigger context. Each image evokes a personality from the seemingly mundane items, giving the viewer a narrative. I swear I do not do drugs.